With Easter on the horizon, what better gift to get than some snacks for the Easter bunny? Trying out the Green Toys Salad Set, I realized how fun make believe can be. Growing an imagination requires strong parental support, access to the right toys and the freedom for children to make their own decisions. As a teacher, I’m dedicated to showing my daughter how to nurture her creativity while also educating her on environmentalism. Green Toys support imaginative play in an eco-friendly way. I’ve reviewed several of their products in the past year: the seacopter, a dump truck, a tractor and several baby toys. I’ve always been very happy with the quality of the materials and I have been satisfied with the educational value that the toys have brought to our home. 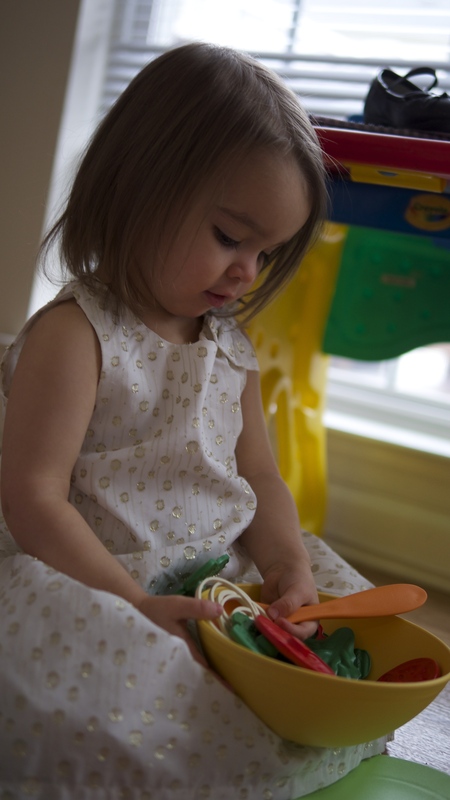 In reviewing the Green Toys Salad Set, I watched my daughter play with the toy. In the box came a plate, a bowel, utensils, lettuce, tomatoes and onions. When I can, I love to have my children actually help to make the dinner salad to get them involved. Playing with a salad toy set was fun for my kids because they usually ask to help make salad for dinner. The toy recreated an authentic experience in our home, while also reminding my children of how helpful they can be. Regarding the educational quality, I found several teaching moments as we played. Creating salads introduced several new vocabulary words. We discussed colors, shapes and textures. The toy introduced sorting. We put the parts in different piles based on their color. Then we talked about how even the parts that had the same color had different textures. Most of the parts were round, but she saw that some parts weren’t perfectly circular. Some other vocabulary we talked about included vegetables, fruits, dinner and lunch. Any time you can get a parent involved in talking to their children is valuable. I found the toy to be a great way to encourage conversation in the home. Research shows that children who hear more vocabulary at home when they are younger have a bigger vocabulary when they are older. To help your child develop a bigger vocabulary, the key with giving your children toys would be to play with them, instead of just hoping that they entertain themselves. The salad set really helped encourage discussion and interaction, which I found very valuable. When my daughter turned two years old this month, the toy was a perfect gift. All of the parts were large enough that they wouldn’t pose a risk, while they also had some key components that encouraged growth and development. Finding gifts for two year olds can be hard. Some toys for kids under age two are too babyish. Some toys that are for kids over age three have really small parts because the risk of choking lessens around that age. The salad set was just the right size for a toddler. I also liked that the toy had different parts. Playing with a toy made with multiple parts taught responsibility. When my daughter is older, she’ll need to know how to keep track of even smaller parts of toys. To be able to continue playing with the toy, my daughter realizes that she can’t lose the parts all over the house. The item teaches organization. Wholeheartedly, I would recommend the salad set. Items from Green Toys are made with high quality, durable materials. Since I’ve used the company’s toys for the past year, I’ve realized that they are made to last. I’m very happy with the salad set. I look forward to playing with it in the future. For more tips, check out Giveaways and Toys. You can also follow Theresa’s Reviews on Facebook, Twitter, Pinterest, Instagram, Flipboard and Youtube. 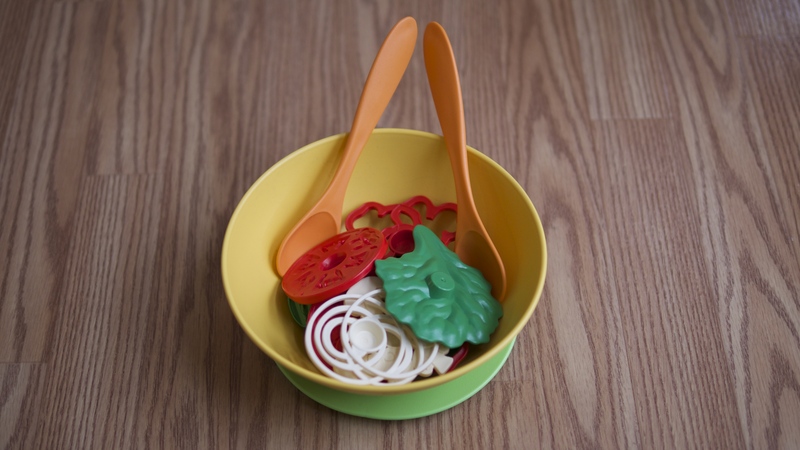 Enter to win one Green Toys Salad Set! Disclosure: I received a free item, but it in no way influenced my opinion! 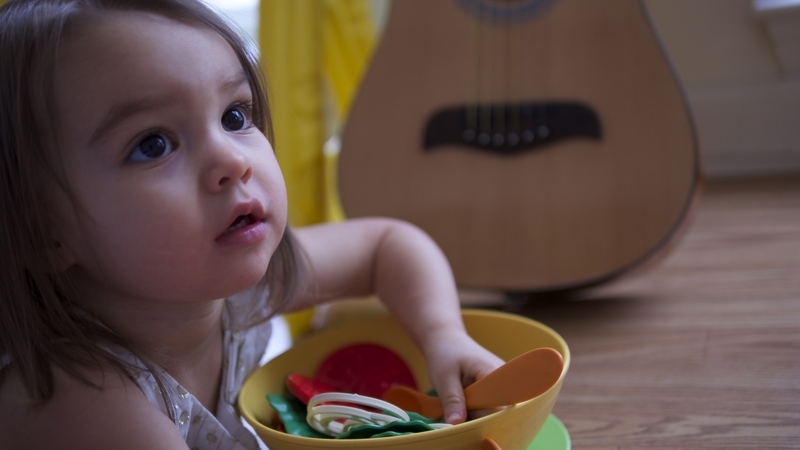 With healthy eating choices so popular a salad set for toddlers is brilliant. I like all the vegetables to teach healthy foods. I like that is is pretend play with real items. And a salad is awesome…. Way better than fries. I like that their toys are made from 100% recycled materials. Their toys are good quality. I love that Green Toys are made from recycled materials and that this particular product promotes healthy eating! I like that their toys are made from 100% recycled materials. I think it helps kids with pretend play and it also can help with teaching them that veggies are good for you. I like the idea of kids learning about fruits and veggies. Would love to use this with the children I volunteer with to teach them to make healthy choices. I like it, simply because it is a salad. My son would love to play with this! What’s not to love? It shows them healthy foods are ok to eat! I like that it encourages healthy eating. I love that their Green Toys are made in USA and from 100% recycled plastic! I love 5th at they are made from recycled milk bottles. I like that it promotes healthy eating. I like that the pieces are big enough not to be a risk. I love that this is a food toy featuring healthy food! I like that it is a toy which helps children learn about healthy eating. I like that the toys are made of recycles! What a great way to save our environment! I love all of Green Toys products. This salad is cute and would make a great addition to my children’s play kitchen. Love that its made from recycled materials! What I like about the toy is the vegetables because I can use them to teach the kids about healthy foods! !